Herceg Novi is one of major tourist destination in Montenegro, and taxi from Podgorica airport to Herceg Novi Igalo by the price 80 Euros is our everyday activity, not only in summer tourist season. Reason more for that is also health center in Igalo, next to Herceg Novi. Herceg Novi is one of bigger coastal cities in Montenegro, with almost 40.000 inhabitants. Transportation from Podgorica airport to Herceg Novi, also known as Castelnuovo, is often request in tourist tours and panoramic rides. Tourists after their visits to Budva, Kotor and Boka bay are usually finishing their trip in Herceg Novi by taxi from Podgorica airport. You realy have a lot to do and see in Herceg Novi, city which was founded in 1382, by Bosnian king Tvrtko Kotromanic. 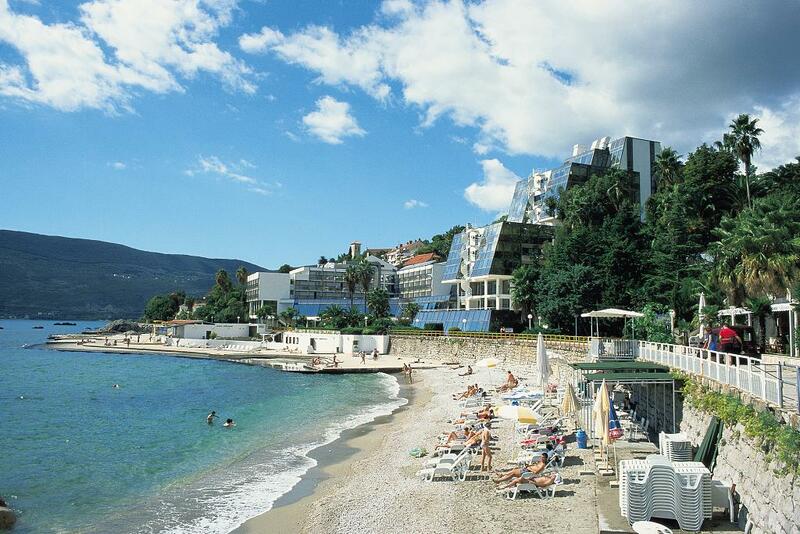 Herceg Novi is one of the first cities in Montenegro which began to develop a modern hotel accommodation. The first hotel in Herceg Novi starts to work in 1902 year. Taxi from Podgorica airport to Herceg Novi is the most reliable mode of transportation, because there is no bus line from the airport, and during the season buses are often overcrowded. If you didn't buy bus ticket for journey from Podgorica on time, you simply do not have other option, except to take a direct transfer from Podgorica airport to Herceg Novi. Tourist attractions in Herceg Novi which must be seen are castle Forte Mare, from 1382 year, Clock tower from 19 century, Kanli tower and church St. Michael Archangel. Taxi from Podgorica airport to Igalo is popular request, especially because of Igalo health center. At the beginning of 1929, Herceg Novi and Igalo are recognized as climatic health resort, because it was known from ancient times for medicinal properties of the coastal mud (Igalo mud) and mineral water, and all that is making taxi transfer from Podgorica airport to Igalo our often service. Meljine, Zelenika, Djenovici, Baosici and Bijela are small places which belong to Herceg Novi municipality, and in summer tourist season number of tourist which are interested for taxi from Podgorica airport to Djenovici, Meljine, Zelenika, Baosici is bigger from year to year. Our company is providing transportation from Podgorica airport to Herceg Novi Igalo, only with new and comfortable vehicles, higher class. All our vehicles are Mercedes E class and VW Passats, and all drivers are professional, fully licensed, with at least 10 years experience in this job. Book in advance your reliable and cheap taxi Podgorica airport to Herceg Novi Igalo, and our driver will wait for you next to the airport exit, holding a board with your name. If you will need return transfer from Herceg Novi to Podgorica airport, you can schedule it directly with your driver, or also through our booking form. Taxi service for your voyage from Podgorica airport is available 24/7 during the all year, and you can schedule your transportation by our contact form, email, phone call or SMS. In the case of flight delay, waiting is free of charge. 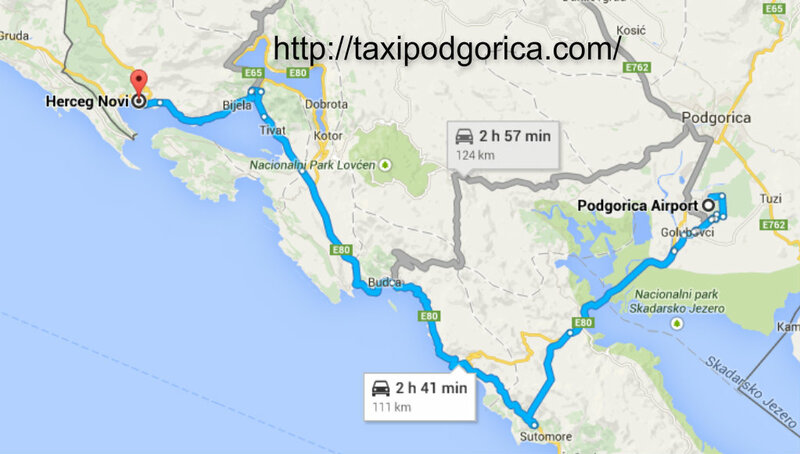 Book online your taxi transfer Podgorica airport to Herceg Novi - Igalo per 80 eur, per vehicle, 1-4 persons. Ferry tickets 10 eur, and tunnel toll 5 eur are included in the price, and also VAT and passenger insurance. Reservations and all luggage is free of charge, so 80 eur is fixed and final price which you will pay when you arrive at your destination. Distance is 120 km, and ride duration is about 2h 20min, so transportation from Podgorica airport to Herceg Novi Igalo by taxi is the best option of traveling.